Find out how you can do more to engage your students with customized course materials. Go to www.domorenow.com now. 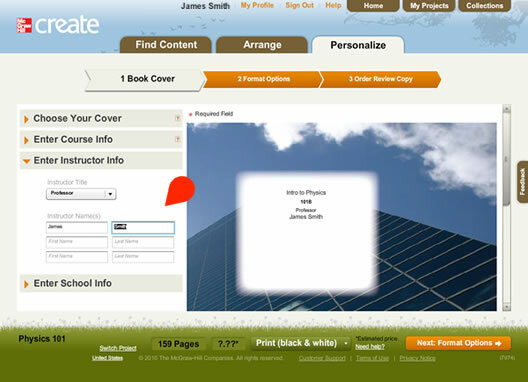 Customize your own high quality, well-designed, full-color textbooks in print or ebook format. Save time! Start with a pre-built book containing the most popular content in your course area. Upload and include your syllabus, articles, notes, study guides, diagrams, — even artwork. Narrow your search and explore specific, topic- based collections. 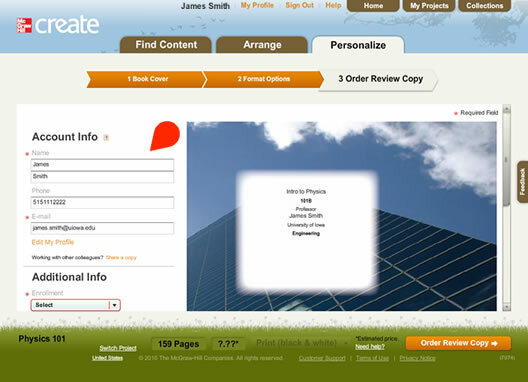 Our state-of-the-art search engine allows you to filter through books, articles, cases and more - then sort the results. Make your textbook look polished and professional. Add your name school and course information. McGraw-Hill Connect is a web-based assignment and assessment platform that helps your students connect with the coursework and beyond. All your course materials in one place. Create a tailored digital learning experience that is easy to use and yields measurable success. © 2020 McGraw-Hill Education. All rights reserved. 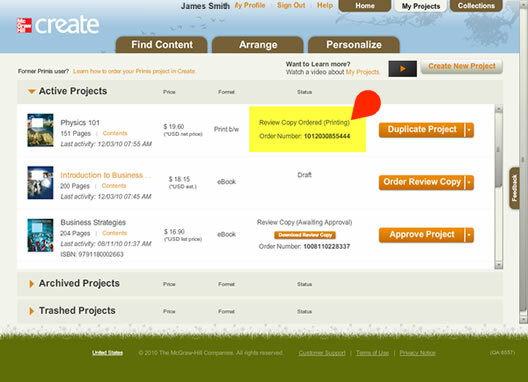 In this short tutorial you’ll learn how to finalize project and order a review copy. 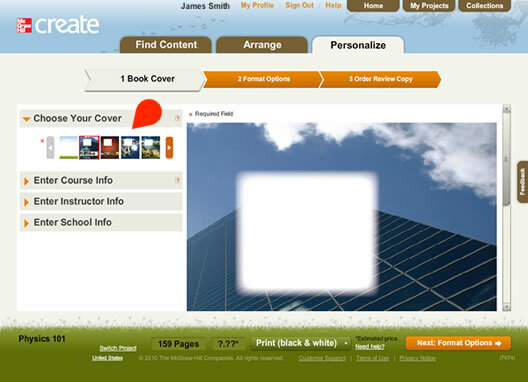 Step 1: Select a cover for your book by clicking a cover thumbnail. Additional covers can be viewed by clicking the arrow to the right of the thumbnails. Step 2: Next, click the arrow next to “Enter Course Info” and enter your Course Name and optional Course Number into the fields provided. All fields marked with an orange asterisk are required. The cover preview at the right will update showing you how your cover will appear when printed. Step 3: Click the arrow next to “Enter Instructor Info” and select your Title and enter the names of the instructors you would like to appear on the cover. This Step is optional. Step 4: Click the arrow next to “Enter School Info” and enter your school name and department. 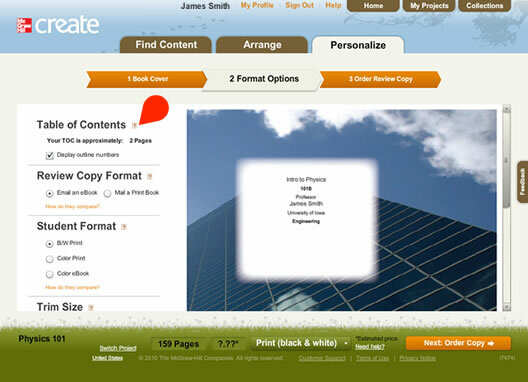 When you’re finished, proceed to selecting format options for your book by clicking Next: Format Options. Step 5: From the Format Options select your Review Copy format, Student Format, Trim Size, Binding and Paper Type. Use the small help icons next to each option for more details. Review Copies in eBook format are ready in about an hour. 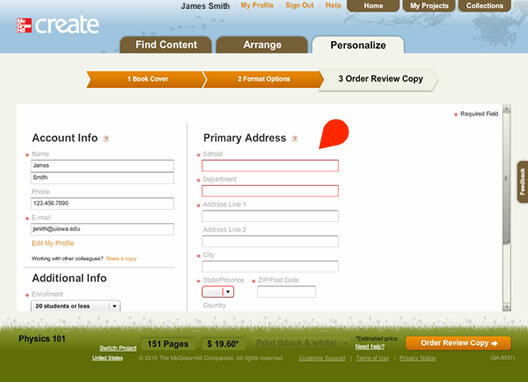 Click Next: Order Copy when your satisfied with your formatting. Step 6: Verify your account information and answer the additional required information such as enrollment size and decision date along with any special printing instructions you may have. You can also share a copy of your project with another colleague that uses CREATE by clicking “Share a copy”. If you are ordering a print copy to be mailed to you, additional shipping information will be requested. Finally, click Order Review Copy to submit your order. Step 8: You will receive an order confirmation. You can check the status of your order by viewing clicking My Projects. 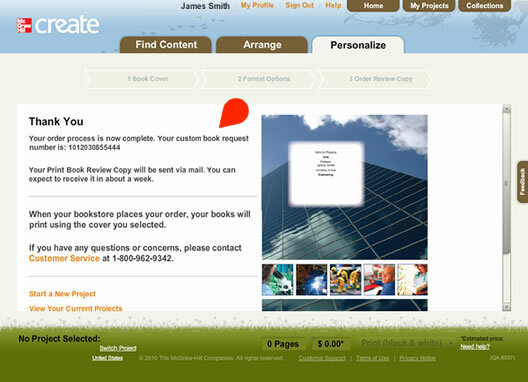 Step 9: The “Status” column will display your order number and status. If you ordered an eBook a link would be provided to download your Review Copy when ready.